Dress your dining table with finely crafted essentials for the perfect setting. The beautifully crafted Séquoia range by Louis Thiers embodies the true rustic charm of Laguiole. 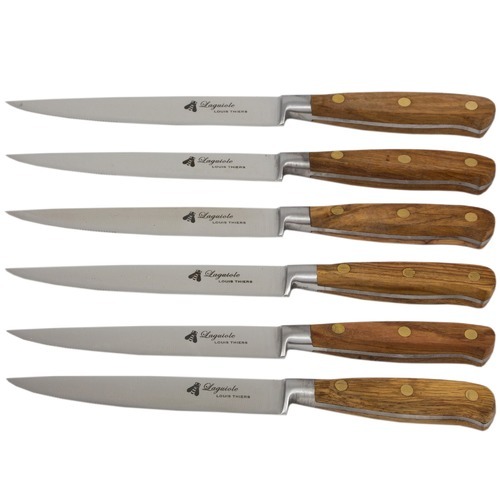 Made from matte German stainless steel 1.4116, these steak knives offer excellent sharpness with gently curved rose wood handles embellished with brass rivets. The blade of each piece is laser-etched with the famous Laguiole bee insignia. Each piece is hand finished for a difference in quality you can see and feel. Care instructions: This set is not dishwasher safe. Knives must be washed by hand and dried thoroughly. Care should be taken not to use abrasive or citrus-based dishwashing powders or liquids as these may damage the timber handles. 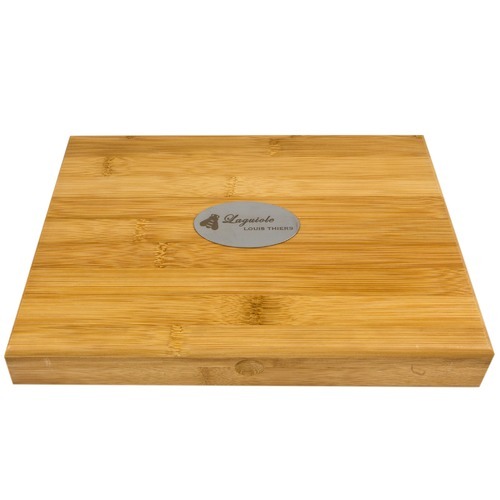 The knife block should be wiped with a damp cloth as required. 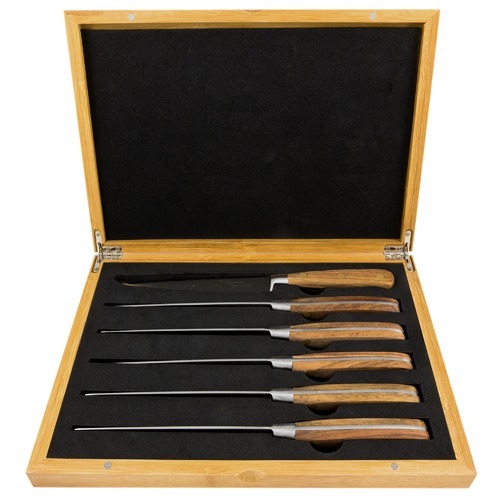 When you buy a 6 Piece Rose Wood Steak Knife Set online from Temple & Webster in Australia, we make it as easy as possible for you to find out when your product will be delivered to your home in Melbourne, Sydney or any major city. You can check on a delivery estimate for the Laguiole by Louis Thiers Part #: 8STW6RW here. 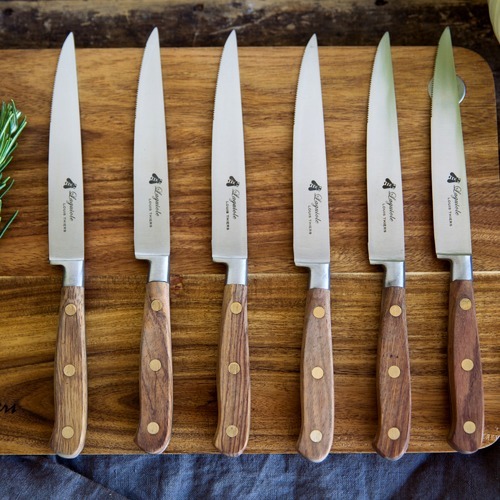 If you have any questions about your purchase or any other Cutlery Sets product for sale our customer service representatives are available to help.Whether you just want to buy a 6 Piece Rose Wood Steak Knife Set or shop for your entire home, Temple & Webster has a zillion things home.